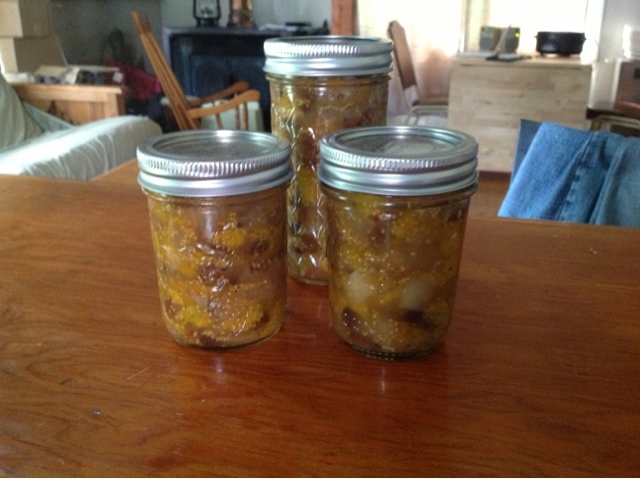 Ground cherry chutney.... Yum! This was our first experiment with putting ground cherries up. We may repeat this recipe if we are able to glean more produce from our friends' farm. Neal ate a good deal of the ground cherries straight, and the rest went into a sweet refrigerator salsa. 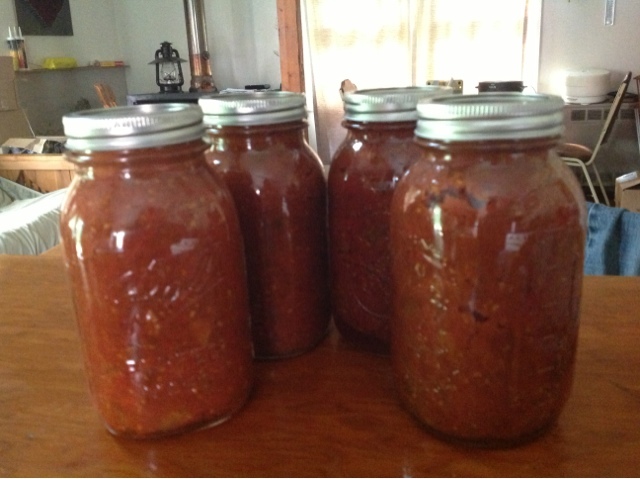 4 quarts of tomato sauce from about 25 or 30 pounds of heirloom tomato seconds. Kind of a shame to use such distinctly tasty tomatoes all in a sauce, but they weren't going to last long, are easily sauced, and freezer space is limited. We also made a roasted veggie salsa with the rest of the tomatoes plus garlic, onions, and red bell peppers. 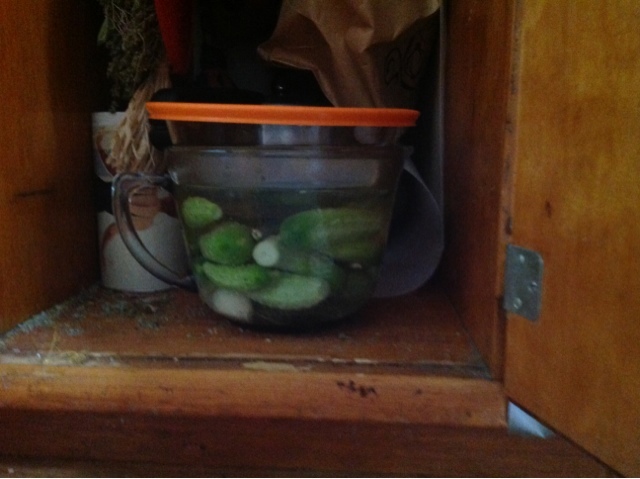 We are doing our first fermented veggie of the year here. 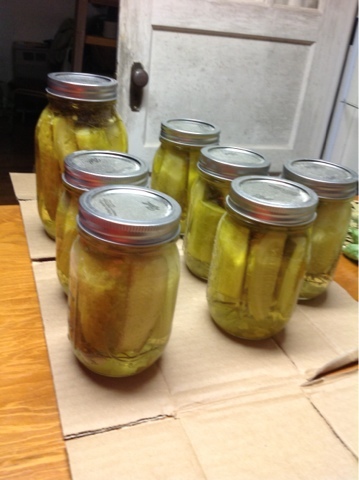 Traditional pickles brined for at least 3 weeks. We'll see how it goes. Once the root veggies and cabbage are ready, we hope to have lots of ferments going. I just love that sour taste! We are collaborating with some friends tomorrow to make cider. Wish us luck!